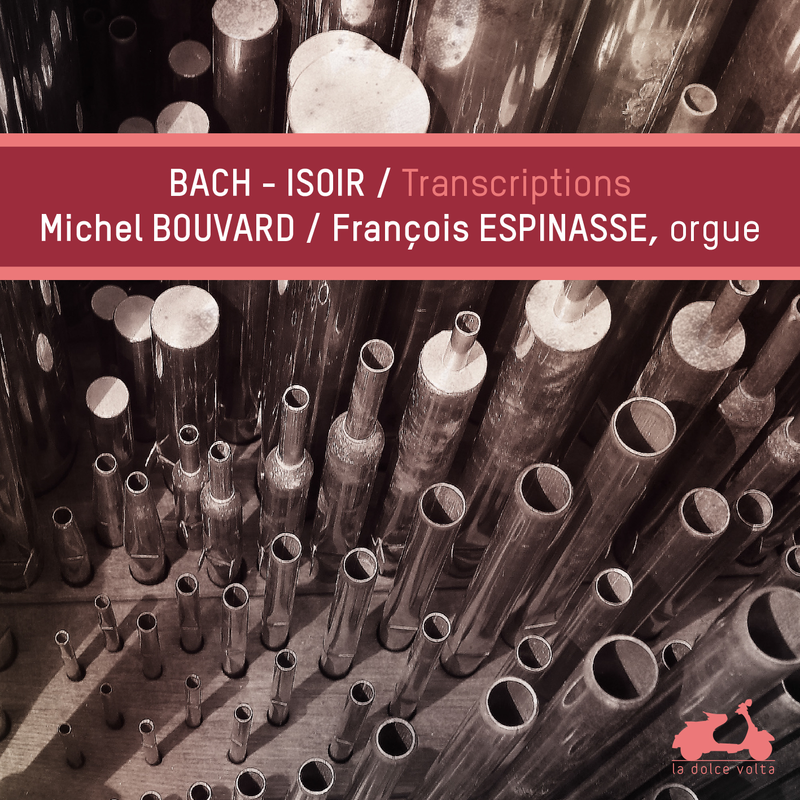 These Bach transcriptions for solo organ by André Isoir take us from the church to the Collegium Musicum, from the Sinfonia of the Cantata BWV 129 to the Concerto for four harpsichords, shedding new light on some of the Kantor’s most famous pieces. 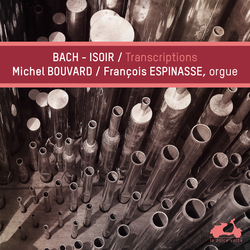 The performances by Michel Bouvard and François Espinasse constitute a musical tribute by the two artists, professors at the Conservatoires Nationaux Supérieurs de Musique of Paris and Lyon, to their former teacher. 04 Cantata, BWV 4 "Christ lag in Todesbanden": Verse IIII. 07 Cantata, BWV 68 "Also hat Gott die Welt geliebt": II. 09 Cantata, BWV 106 "Gottes Zeit ist die allerbeste Zeit": I. 13 Cantata BWV 202 "Weichet nur, betrübte Schatten": V.